Fancy a chocolate mousse dessert for breakfast? Well if it’s of the healthy kind… then why not?? 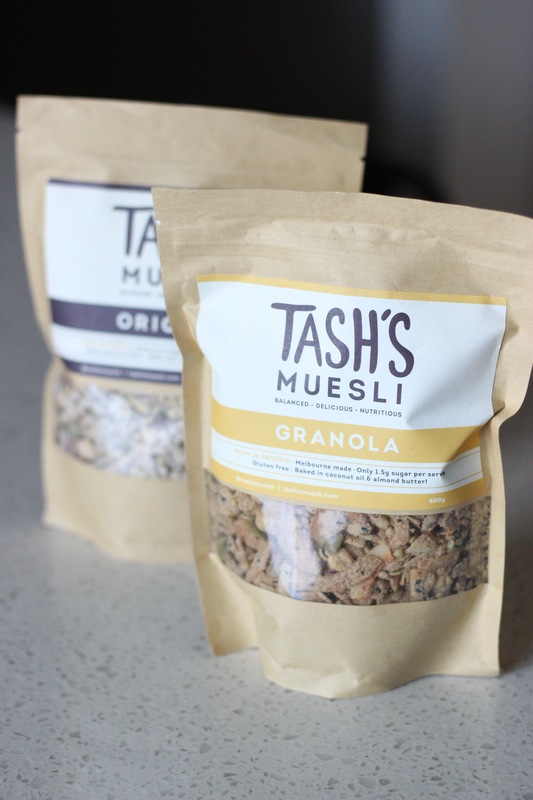 We were lucky to receive some delicious samples of Tash’s Granola muesli. As far as granolas are concerned, Tash’s product is quite unique. It is made with a selection of puff quinoa, whey protein isolate, activated buckwheat coconut and nuts, baked in a delicious blend of coconut oil, almond butter and rice syrup and finished with a dash of cinnamon… completely gluten and guilt free! The texture is extra crunchy, and so we thought to couple this toasted Granola with a smooth chocolate and avocado mousse. So delicious and healthy, we guarantee you will be licking the bowl! In a high powered blender, combine the avocado, honey, cacao, coconut milk and cinnamon on high speed until smooth. You can add a little extra coconut milk if you wish to lighten up the thickness of the mousse. In a glass or bowl, spoon a dollop of the mousse . Arrange some sliced strawberries around the edge of the glass, along with a good sprinkle of Tash’s muesli. 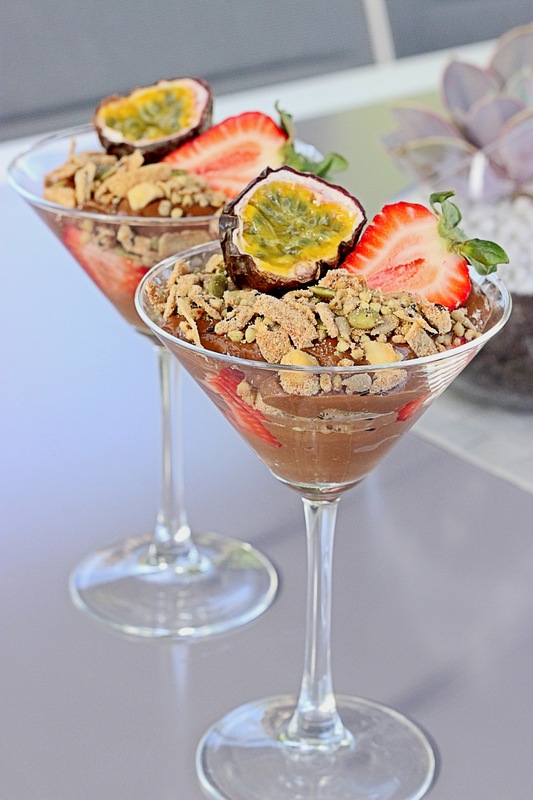 Add another large dollop of chocolate avocado mousse and finish with a final dose of muesli. Top with additional fruit.